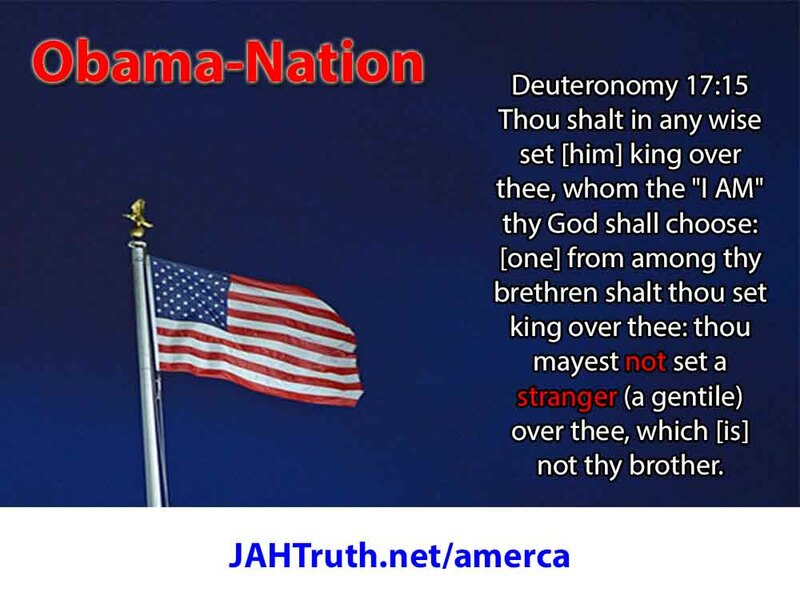 Barak Obama is not from either of the Israelite tribes of Dan or Manasseh; the white Americans JAHTruth.net/amerca, which contravenes God’s Law. 17:15 Thou shalt in any wise set [him] king over thee, whom the “I AM” thy God shall choose: [one] from among thy brethren shalt thou set king over thee: thou mayest not set a stranger (a gentile) over thee, which [is] not thy brother. 18:9 When thou art come into the land which the “I AM” thy God giveth thee, thou shalt not learn to do after the abominations of those nations. 2. At the same time we shall not omit to emphasise the historical mistakes of the goy governments, which have tormented humanity for so many centuries by their lack of understanding of everything that constitutes the true good of humanity, in their chase after fantastic schemes of social blessings, and have never noticed that these schemes kept on producing a worse and never a better state of the universal relations which are the basis of human life…. 4. Our philosophers will discuss all the shortcomings of the various beliefs of the goyim. But no one will ever bring under discussion our faith from its true point of view since this will be fully learned by none save ours, who will never dare to betray its secrets. ← 65. What’s a Lady?